This 65-lb tag is heavier than construction paper, but lighter than Railroad Board. That makes it perfect for cards, posters, covers, and screen printing. Bright Tag is usable with copy machines or laser printers. Made of 20% post consumer recycled materials, it is acid-free and fade resistant. 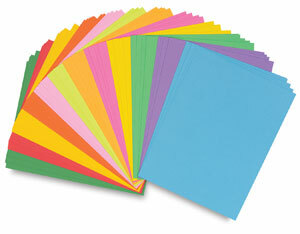 Each package contains 12 assorted, brilliant colors.